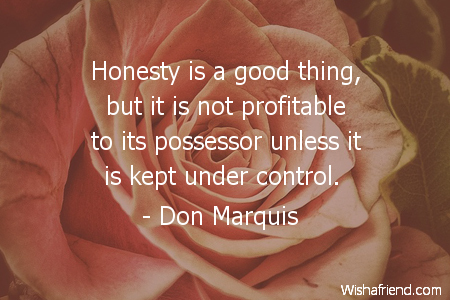 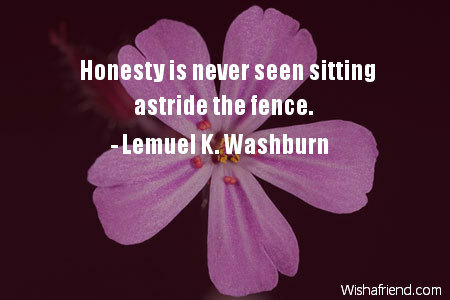 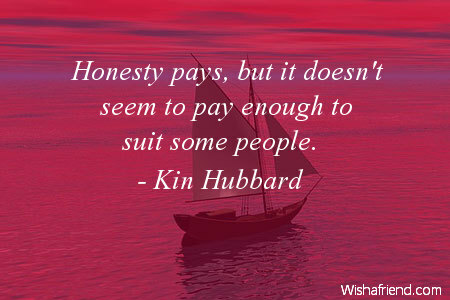 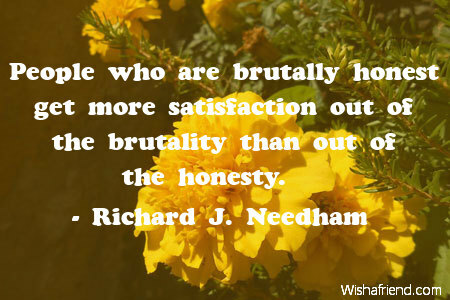 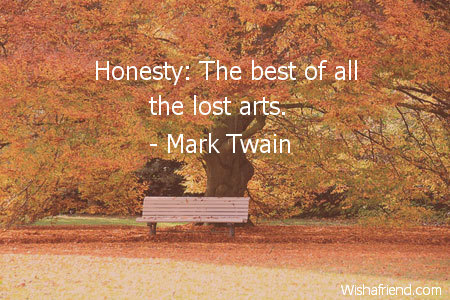 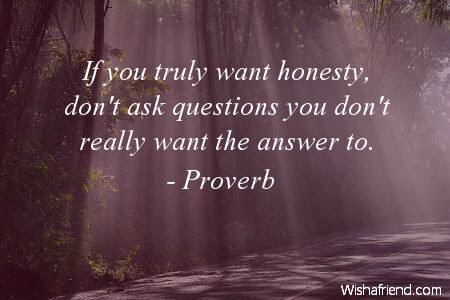 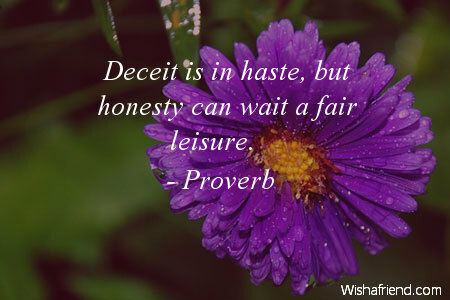 If you truly want honesty, don't ask questions you don't really want the answer to. 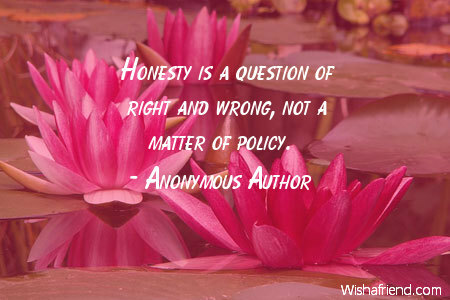 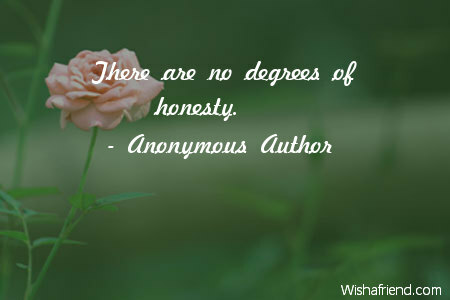 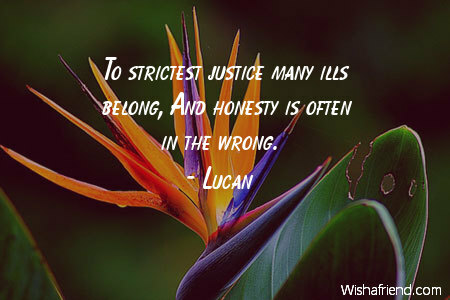 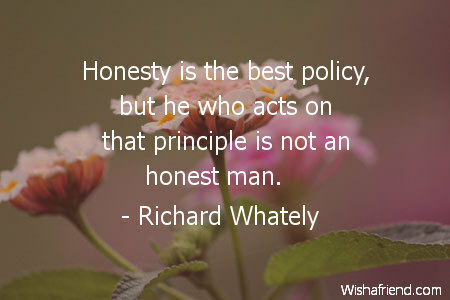 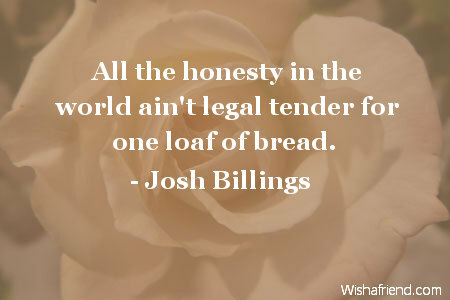 Honesty is a question of right and wrong, not a matter of policy. 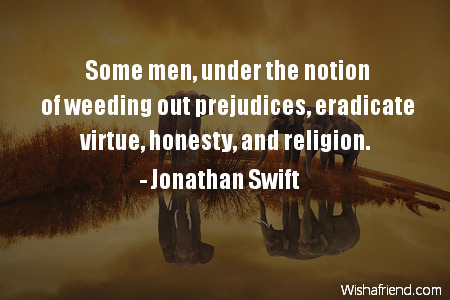 Some men, under the notion of weeding out prejudices, eradicate virtue, honesty, and religion. 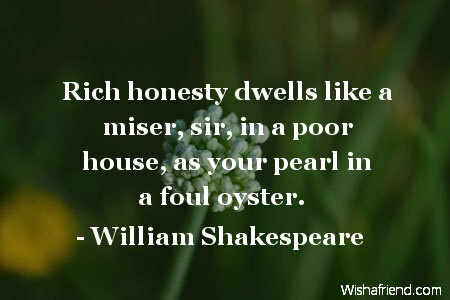 Rich honesty dwells like a miser, sir, in a poor house, as your pearl in a foul oyster. 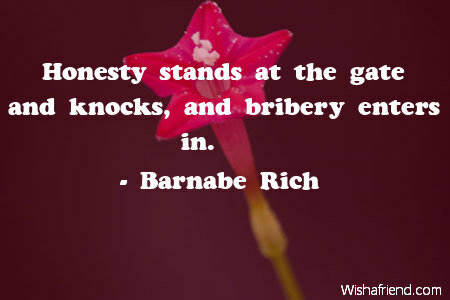 Honesty stands at the gate and knocks, and bribery enters in. 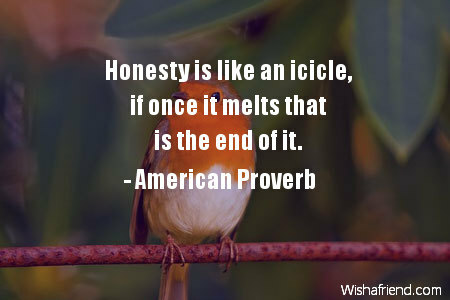 Honesty is like an icicle, if once it melts that is the end of it. 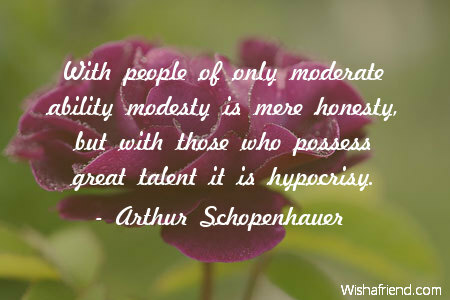 With people of only moderate ability modesty is mere honesty, but with those who possess great talent it is hypocrisy.